Manufacturer of a wide range of products which include sewage treatment plant, grit removal system, sewage treatment plants for school & educational institution, sewage treatment plants for hotels and resorts, sewage treatment plants for residential complexes & colonies and sewage treatment plants for hospitals. 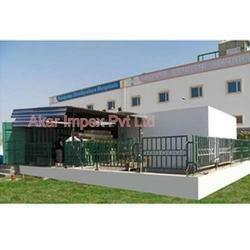 We are leading manufacturers of Sewage treatment plants. Sewage treatment is the process of removing contaminants from wastewater, primarily from household sewage. Physical, chemical, and biological processes are used to remove contaminants and produce treated wastewater (or treated effluent) that is safer for the environment. A by-product of sewage treatment is usually a semi-solid waste or slurry, called sewage sludge. The sludge has to undergo further treatment before being suitable for disposal or application to land. Our range of grit removal system has a proven record of highest removal efficiency over a wide range of daily flows. The proven efficiency is the result of innovative hydraulic design, which comprises of flat-floor, engineered baffle arrangements and low-energy, axial flow propeller. This combination creates a true vortex which effectively separates grit from the waste stream. The system is widely used for removal of grit and other discrete particles, separation of organic and inorganic, etc. It functions to reduce grit accumulation in downstream basins, channels, weirs and piping. We offer innovative range of grit removal system that features easy installation, simple operation and low maintenance cost. Our range of grit removal system has a proven record of highest removal efficiency over a wide range of daily flows. The proven efficiency is the result of innovative hydraulic design, which comprises of flat-floor, engineered baffle arrangements and low-energy, axial flow propeller. This combination creates a true vortex which effectively separates grit from the waste stream. The system is widely used for removal of grit and other discrete particles, separation of organic and inorganic, etc. It functions to reduce grit accumulation in downstream basins, channels, weirs and piping. We offer innovative range of grit removal system that features easy installation, simple operation and low maintenance cost. 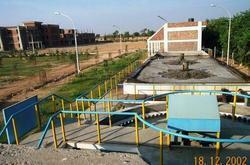 Akar has successfully installed sewage treatment plants in various schools and educational institutes. 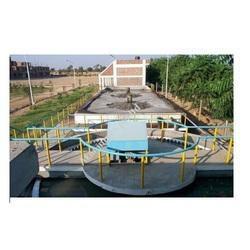 Most of the sewage treatment plants are designed for recycling sewage for horticulture application. We can also design and develop plants which involves secondary treatment of the wastewater. Secondary treatment is referred to the biological treatment, which may be aerobic or anaerobic in nature. Different stages of treatment includes aeration, clarification, sludge digestion, sludge thickening, sludge drying or sludge minimization, etc. Our sewage treatment plants are supplied with facility for secondary treatment. Our sewage treatment plants for hotels and resorts can be used for recycling wastewater generated from kitchen (which contains higher oil), laundry or toilet. These plants are based aerobic sewage treatment system. The innovative method involves secondary treatment process to counter effect foul smell. Most of the hotels and resorts prefer underground treatment plants to avoid its visibility. We have successfully many such as underground treatment in India and abroad. Our compact sewage treatment plant fabricated from steel is the considered best options for water treatment big hotels and resorts. These sewage treatment plants use bioreactors principal to reduce the retention times and speed up the biological degradation process. Akar compact sewage treatment is ideal for installation, where space is the major constrain. Our sewage treatment plant for residential complex is gaining importance from both the sanitation as well as water recycle points of view. Sewage is now being looked upon as an alternate source of water for specific uses. Treatment plant used in residential complexes and colonies are not much different than those used in Hospitals and Resorts. We have successfully confronted challenges for installation of sewage treatment plant with ADBR (Akar Dynamic Bio-Reactor) system. These packaged sewage treatment plants and mobile / compact sewage treatment plants can be easily mounted on a skid. Its unique design allow for easy assembly of the part and installation on-site. This plant occupies 65% less space and consumes less energy, compared to other plants. We provide turnkey solutions for designing, manufacturing, installation and commission of sewage treatment plants in hospital. 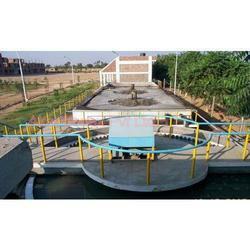 These sewage treatment plants utilize advanced technology based on extended aeration principle. It comprises of an integrated system which includes screen, collection tank, aeration tank, clarifier, sludge digester, filter press, dual media filters and diffused aeration system. During primary treatment, wastewater is screened for the removal of solids, grit and primary sedimentation. The filter water is chlorinated for disinfection. Part of the wastewater is subjected to secondary treatment standards, which utilize special strains of aerobic bacteria (bacteria that need oxygen to grow) to break down the organic waste left after primary treatment. Secondary treatment process removes up to 95 percent of suspended solids in the waste stream and is significantly more effective than primary treatment in removing biologic pathogens from sewage. We have accomplished several turnkey projects for installations plants in different hospitals of the country. Our engineers have designed sewage treatment plants for mega project under the Central Govt. for the largest hospital in the North East India, NEIGRIHMS. 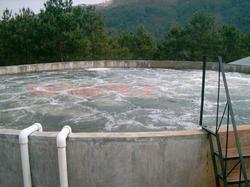 We can offer sewage treatment plant in different capacities based upon the requirement of the clients.